MC Art Supplies, located in Uptown Waco, is a fine art supplies store known for being a haven for the local artist. Shop Owners Aaron and Jessica Williams supply Waco creatives with the tools they need to create beautiful pieces of art. What’s more is that they create a warm environment where all artists – from the novice to the expert – can feel comfortable and find almost anything they need. We spoke with Aaron to learn more about what makes MC Art Supplies the wonderful shop artists know and love in Waco. “My sister, Mackenzie, was an art student at Baylor, and she would come to MC Art Supplies to get all of her art supplies. She became close friends with the original owners, Rose and Clyde. She learned that they were going to close down the store and retire. Around the same time, my wife and I were looking for something new to get into. We wanted to start working for ourselves, and we also were excited to contribute to all that’s going on in Waco. There’s so much going on in the downtown area, and we’re right in the middle of it. We’re super fortunate to be a part of it. Anyways, long story short, we wanted to keep this place going so we took over. How has your experience as a store-owner been? That’s awesome! Do you prioritize ordering new products for your customers? How are you and your wife as a team? Do you have any funny stories from your time running MC Art Supply? 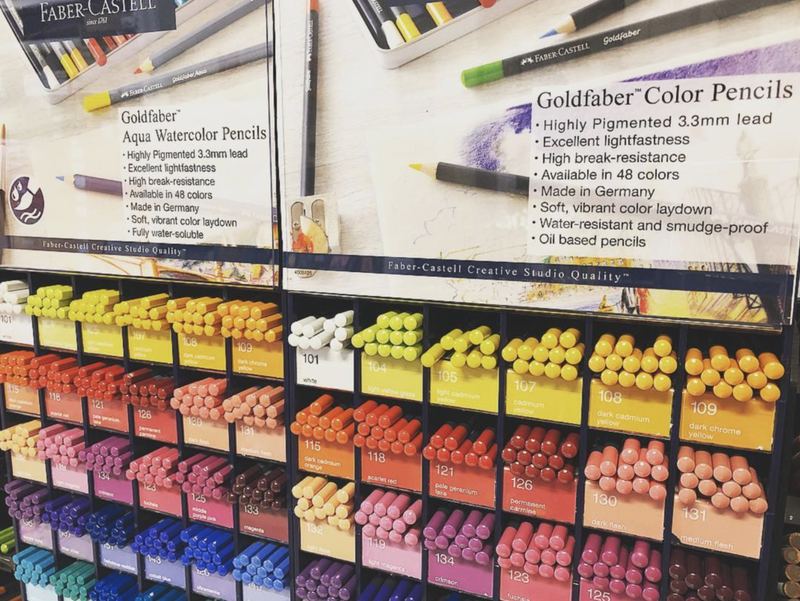 What are some of the dreams you have for MC Art Supply? “Our biggest thing right now is that we’re trying to add as much inventory as possible. We’re doing that because we want to set ourselves apart from the bigger box stores that might not have as much variety. We try to find things that will get artists excited. I want the store to get to the point where people can walk in here and find anything they need. Last question: what do you love about Waco? When you shop at local Waco businesses like MC Art Supplies, you are not only building a robust economy, but you are also supporting your very own neighbors. Find them on Towny – the free tool making it easy to choose local.